A team of psychologists, kinesiologists and archaeologists at Indiana University and elsewhere are throwing new light on a longstanding archaeological mystery: the purpose of a large number of spherical stone artifacts found at a major archaeological site in South Africa. IU Bloomington professor Geoffrey Bingham and colleagues in the United Kingdom and United States contend that the stones — previously thought by some to be used as tools — served instead as weapons for defense and hunting. 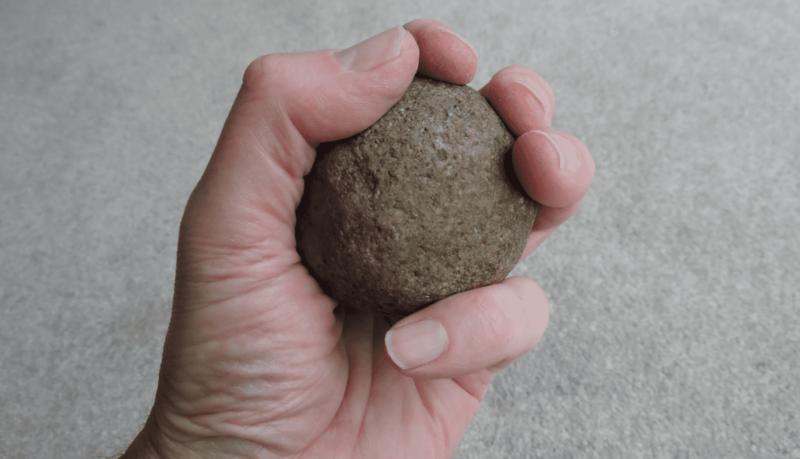 The research, which combines knowledge about how modern humans perceive an object’s “throwing affordance” with mathematical analysis and evaluation of these stones as projectiles for throwing, appears in the journal Scientific Reports. The use of these stones, which date from between 1.8 million and 70,000 years ago, has puzzled archaeologists since they were unearthed at the Cave of Hearths in South Africa’s Makapan Valley nearly 30 years ago. The study’s lead author, Andrew Wilson of Beckett Leeds University in England, and co-author, Qin Zhu of the University of Wyoming, were both Ph.D. students in Bingham’s lab at IU. The other researchers are archaeologists Lawrence Barham and Ian Stanistreet, both of the University of Liverpool in England. Stanistreet is also affiliated with the Stone Age Institute at IU. The team’s conclusions are based upon a theoretical framework and computational tools developed in the Perception/Action Lab at IU, directed by Bingham, who investigates human coordinated action and perceptual capabilities. This includes judging an object’s throwing affordance, which is the selection of the best object in terms of size, weight and shape for throwing at maximum distance, speed and damage. Using these methods, the researchers used computational models to analyze 55 ball-shaped stone objects from the South African site, finding that 81 percent of the stones were the optimal size, weight and shape for hitting such a target at a 25-meter distance. The stones are about the size of tennis balls but much heavier. The team also simulated the projectile motions the spheroids would undergo if thrown by an expert, as well as estimated the probability of these projectiles causing damage to a medium-sized prey such as an impala. Research on biomechanics and perception, particularly vision, shows that the human shoulder joint and perceptual abilities are uniquely specialized for throwing objects aimed at a particular target at a distance of 20 to 30 meters, Bingham said. The stones, which predate thrown spears, likely served as projectile weapons for hunting and defense since they were found to perform best as hunting weapons when thrown overhand, he added. Previous research by archaeologists suggested that spherical stones were used as percussive tools for shaping or grinding other materials. Most of the objects analysed in this study had weights that produce optimal levels of damage from throwing, however, rather than simply being as heavy as possible. Bingham, along with former students and other colleagues, have been studying the mechanics and evolutionary role of throwing — a complex human action — for several decades at IU. Over time, they developed both theories on this capability, as well as virtual simulations to measure the mechanics of the task.